If administrative work is taking over productivity at your organization — things like filling out membership applications by hand, running cheques to the bank, manually processing event registrations, and sorting through a messy excel directory — Chamber of Commerce Software is one option that can free up a lot of time and save you money. In fact, I know someone who runs his entire 600-member Chamber of Commerce by himself as a part-time staff. That's because he leaves most of the work up to Chamber of Commerce Software — it essentially runs the organization for him. What is Chamber of Commerce Software? 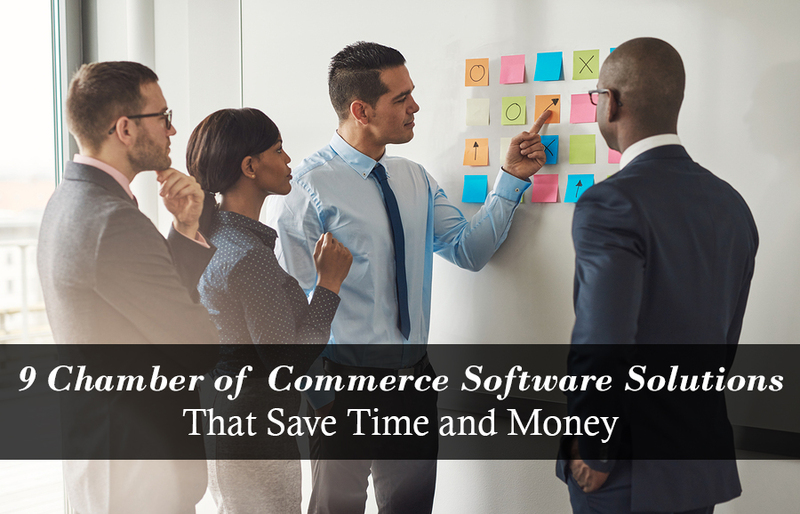 Chamber of Commerce Software is an all-in-one management tool to help you eliminate and streamline administrative tasks from your workload to save you time and money. It’s usually comprised of a website builder, online contact database, online member directory, communications system, booking system, finance & payment system, event platform, and more. Automating membership renewals, registrations and payments. Building and maintaining an online business directory. Easily creating and updating a website. Allowing members to login to your website online to access exclusive resources. Sending professional newsletter and email communications to your board, members, committees, and stakeholders. Creating and promoting events with online registration, attendance tracking, and payment processing. These are all basic functionalities of a larger grouping of software called membership management software — a solution designed to eliminate and automate as many of the administrative tasks of membership organizations as possible. Wild Apricot is the #1 rated membership management software used by nearly 500 Chambers of Commerce and Business Groups. You can try a free, 30-day trial of Wild Apricot and have your Chamber setup with a professional-looking website and easy to search member database and directory in just an afternoon. "Wild Apricot has been a blessing to our Chamber with all its amazing features and user-friendly interfaces. Being able to handle renewals and sign ups automatically without us having to worry is amazing. Before we got Wild Apricot, we were using an old Access Database to keep up with Chamber memberships." Membership benefits, member directories, and featured members. Community calendars and event listings. While Wild Apricot is just one pick for Chambers of Commerce, there are many other options to choose from — each catering to a different niche. The best software for your organization will end up being the one that best fits your exact needs. To help you compare options, here’s a list of 9 popular Chamber of Commerce Software options to consider. I’ve sorted the list alphabetically and listed highlights of each option’s major features and pricing, so you can easily find the solution that suit your needs. Accrisoft provides a comprehensive platform to fully manage your organization. Features include detailed online member profiles, group segmentation, events calendars, email marketing, landing pages, social media sharing tools, and more. 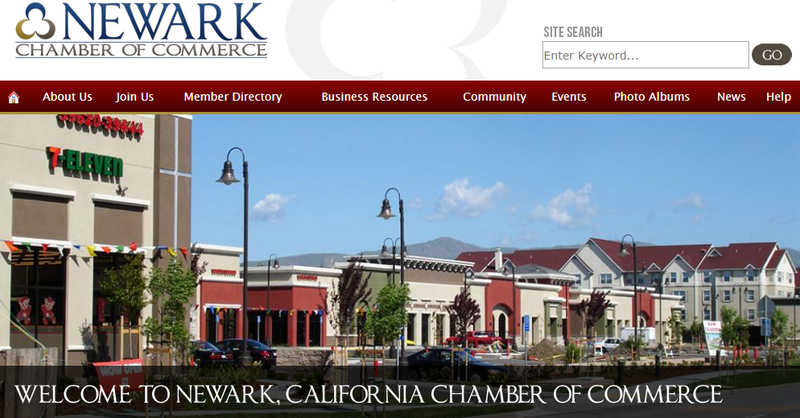 CC-Assist.NET was designed for Chambers of Commerce. Their features include complete membership record keeping, a “smart” billing system, custom reporting, member communication, and website integration. ChamberMaster is a comprehensive platform to manage every aspect of a Chamber. They have dozens of features, of which include custom reporting, payment processing, event management, and referral tracking. They also offer a mobile app for your organization’s staff. Chamber Dashboard is a Chamber Management Wordpress Plugin. Features. Their pricing is based on a pay-per-feature model, so you only pay for what you need. Chamber Organizer allows you to fully manage your members, staff, and volunteers. Features include a member database, billing system, calendar of events, member surveys, photo albums, and classified ads. Every month, Chamber Organizer hosts a meeting with their customers to receive feedback on their product in order to make improvements to their features. Muster is a mix of a membership management solution and a grassroots tool catered to the needs of Chambers of Commerce. Muster helps track advocacy campaigns, connect with legislators and manage your members through an easy online platform. Weblink offers a complete chamber management software solution for managing your members, prospects, financials, events, and more. They also offer complete website design and 24/7 customer support. They also hold an annual summitand regional training classes for their platform. Over 200 Chambers of Commerce currently use Wild Apricot to manage their organizations. Features include a drag and drop website builder, a built-in emailing system, a mobile app, a member directory, a member's-only area, and automated member payments and renewals. Wild Apricot has an open API, which allows you to customize the software to your specific needs, plus integration with Wordpress and Quickbooks. Free 30-day trial.